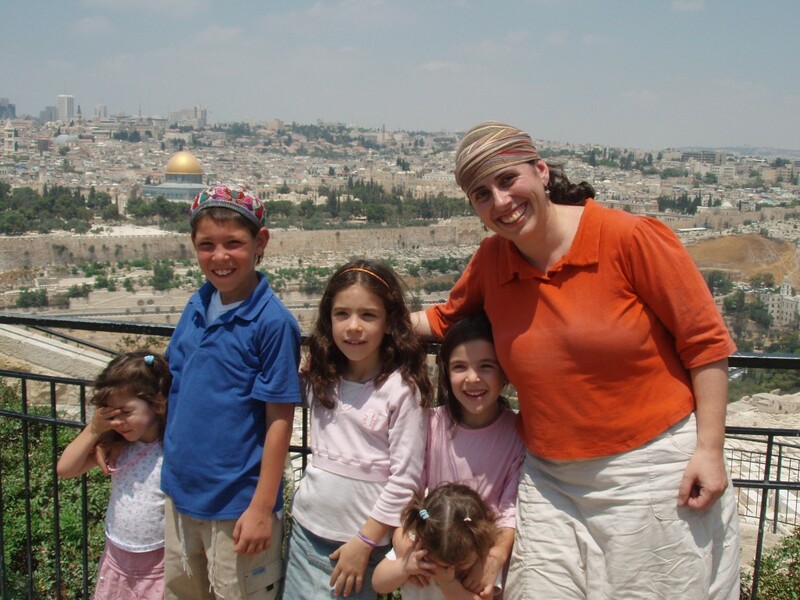 When I found out I was going to Jerusalem I emailed my online friend Miriam Schwab for advice about what to do and see in the area (Miriam lives in Jerusalem). She gave us heaps of advice and invited us to join her family for a traditional Jewish dinner during the Shabatt (Jewish sabbath). Miriam and her children. Thanks to Victoria Argyle for the photo. After arriving in Jerusalem, we made our way on foot (in 35°C heat!) to Miriams place. It hadn’t dawned on me that we wouldn’t be able to contact Miriam due to Jews not being allowed to use electrical devices on the Shabatt and I hadn’t bothered getting particularly accurate directions on how to find her place. All we had we her address, but only a teeny tourist map to find her on. We asked the locals for directions, but only a few seemed to know the housing area she lived in. A few suggested we walked up a hill, in the opposite direction to where we should have been going, to a Mosque on the top of the Mount of Olives. We found out later that the locals simply didn’t want us finding her housing complex as they are unhappy that there is a single Jewish housing complex in an otherwise entirely arab area of Jerusalem. Two hours after we left the hotel, we were eventually met by an abrupt confrontation with guards armed with machine guns outside Miriams place. Once we convinced them that we were indeed supposed to be there, we were served a scrumptious meal of middle eastern style food 😀 It was great to see an inside view of a typical Israeli family. The concept of having armed guards outside my house is certainly a very foreign concept though! 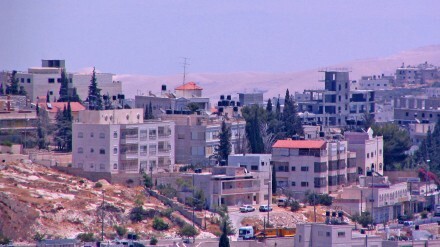 A panoramic image from Miriam’s place. On the right is Miriam and slightly to her left is Vicki. In the background you can see the wall seperating Palestine from the rest of Israel and you can faintly see the mountains of Jordan in the distance. 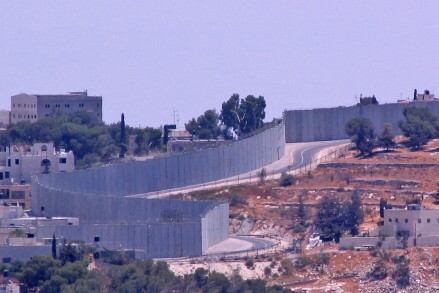 Photo of the wall seperating Palestine from the rest of the Israel as seen from Miriam’s place. It’s great when the online world moves into the offline world, and I’m really glad we got to meet in real life!